A VFD, otherwise known as a variable frequency drive, a variable speed drive, or simply a drive, is an electronic device that varies the pump speed to provide constant discharge pressure. VFDs are reliable and universally available. 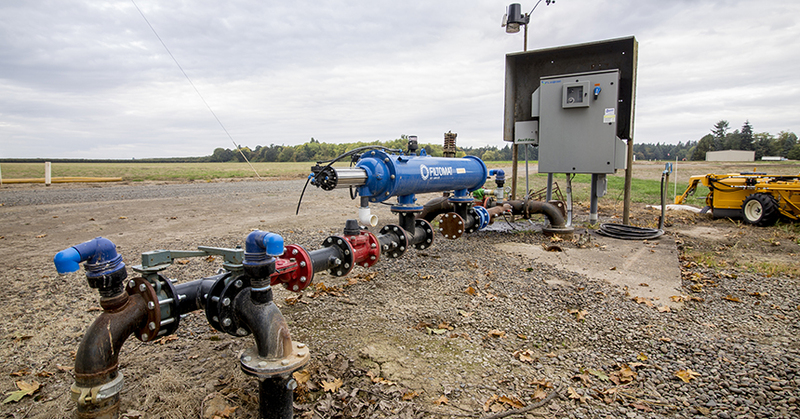 Adding a VFD to a pump can provide consistent pressure control while cutting operating costs and adding flexibility to existing irrigation systems. With this system you will use less energy input and have the same pressure and/or flow with more precise electronic control. 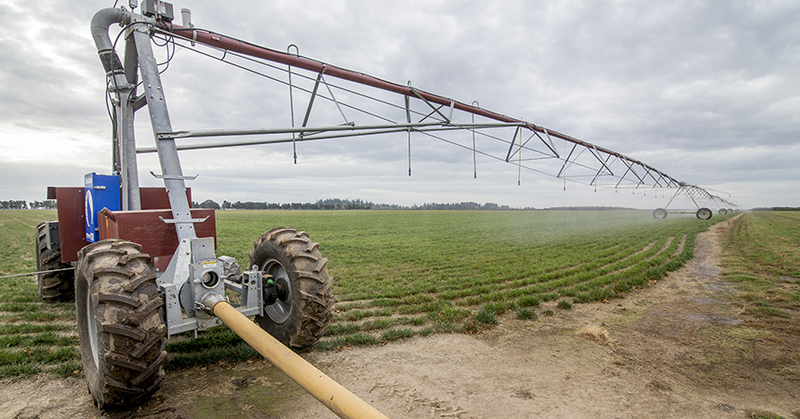 The following FAQ with our energy experts, Steve Ziemak and Jeff Bernacki, program analysts at Energy Trust of Oregon, will help you determine if a VFD is right for your irrigation system. Q. How does a VFD address excess flow or pressure from the pump? Flow bypass wastes both water and energy, and throttling a pump causes the pump to work harder than it should. When a VFD is added to an irrigation pump, flow bypass and throttling valves can be eliminated. A VFD will vary the motor’s speed so the pump can match irrigation needs. Q. What if I’m running multiple irrigation systems off one pump station? Adding a VFD to an irrigation pump is ideal when running multiple irrigation systems, especially if they require different pressures and/or flow rates. Because a VFD maintains a constant discharge pressure regardless of the irrigation demand, a VFD enables the operation of one, some, or all irrigation systems depending on irrigation needs and pump capacity. Q. How does a VFD react to different flow and pressure requirements? 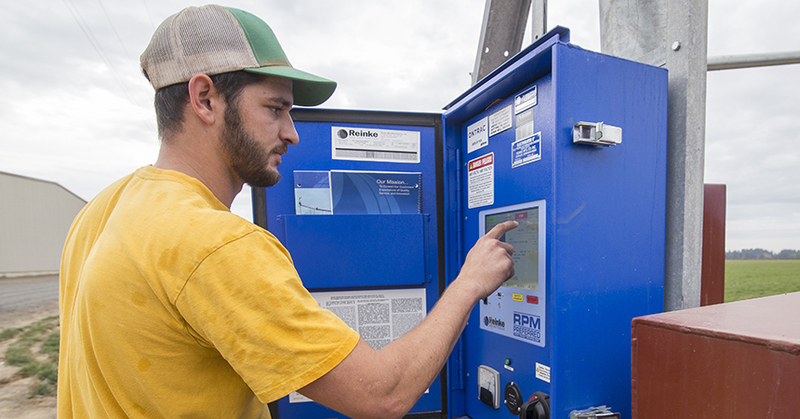 If flow and/or pressure requirements change throughout the day, month, or season due to differing irrigation systems or crop needs, a VFD can match the flow requirements. To do so, a VFD uses a pressure transducer which senses the pressure at the pump discharge. Then, as valves are opened or closed in the field and irrigation equipment is changed, the VFD senses the corresponding change in system pressure and varies the speed of the motor and pump accordingly to bring the pressure back to the pressure set point. Q. What if my well has varying water depths? A pump with a VFD can meet the required irrigation system pressures regardless of water depth in the well. A change in water depth would normally change the pressure available at the pump discharge, but because a VFD maintains a specified pressure set point it will vary the speed of the motor and pump to compensate for the change in water depth and provide constant discharge pressure. Q. What other benefits does a VFD offer? A VFD acts as a soft start which has several benefits including elimination of water hammer in the mainline, less wear and tear on the motor and pump bearings, and a smoother power demand which utilities require in some areas. Some VFDs also come with remote start so pumps can be started or stopped anywhere, even when you’re not on site. Additionally, valves can be turned on or off in the field and the VFD-controlled pump will respond automatically, saving trips to the pump. To learn more about variable frequency drives and available incentives, visit www.energytrust.org/irrigation.